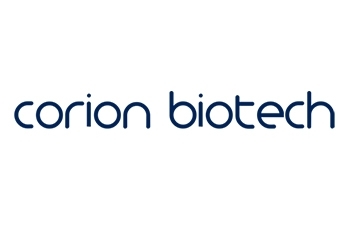 Corion Biotech is an academic spin off of Torino University. This innovative technology enables to produce from selected human placenta cells some methabolites having potential application in bioscience research and in therapy of some human pathologies. These methabolites are grouped in the citokins family and have several influences in the human physiology. Preeclampsia affects 3-8% of all pregnancies worldwide, thus being the main cause of fetal-maternal mortality and morbidity worldwide. Preeclampsia is associated to Fetal Growth Restriction. Importantly, even though Preeclampsia resolves at delivery with placenta removal, it causes severe long term complications for both the mother and the newborn as cardiovascular and metabolic diseases, diabetes, neonatal neurological impairment, cerebral palsy and an increased risk of intellectual disability and autism spectrum disorders. It is evident that Preeclampsia has a massive social-economic burden, costing to the global health care system more than 3 billion USD/year with lifetime medical intervention. There are no effective therapeutic interventions for Preeclampsia except for a timed and often premature delivery, that represents itself an important risk factor for the newborn's health. Epithelial cancers affecting ovarian and breast tissues represent the first cause of death among all gynecological cancers. Although most patients achieve complete clinical response following standard treatments, a very high percentage of them eventually relapse. Therefore, it is mandatory to develop new therapeutic strategies. Corion Biotech approach for epithelial gynecological cancers is based on hPDMSCs purified from the human preeclamptic placenta obtained immediately after delivery, expanded and cultured in vitro in order to naturally obtain our therapeutic biological CB-ChMF-12.